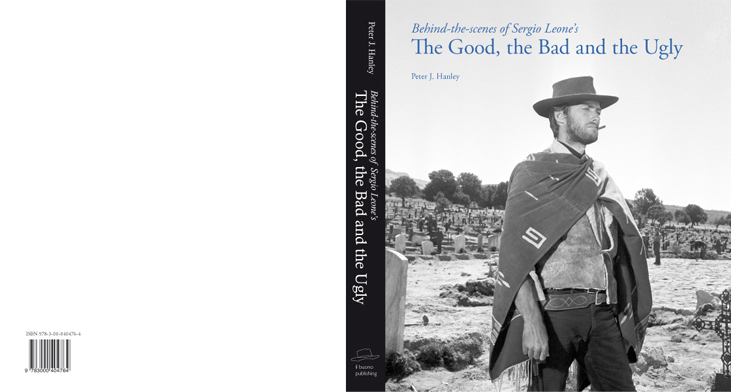 Sergio Leone&s monumental film The Good, the Bad and the Ugly will be fifty in 2016. The aim of this book project is essentially to document this classic film in great detail. Highlights will include over 20 interviews with cast and crew, more than 200 rare behind-the-scenes stills, as well as detailed analysis of the historical background (including numerous historical comparison photos, maps etc), documentation of all shooting locations, lobby cards, posters, and more. The book is lavished with numerous stills, including over 200 behind-the-scenes stills, most of which have been scanned from original negatives and not previously published. The format of the hard-covered book is 26.5 x 30 cm, which allows much space for large format photos (on high-quality, coated 135 g/m2 paper). Each still is accompanied by a detailed legend. An extensive collection of country-of-origin (Italian) lobby cards and posters are dispersed throughout the book. The shooting locations are presented in the form of &apos;comparison&apos; photos, taken using a small aperture and a tripod-mounted camera. All location photos are accompanied by 3D GPS coordinates, as well as a vivid description of the terrain and comments from Spanish locals. The vast majority of the American Civil War (1861-1865) was fought in the East, in states such as Pennsylvannia, Maryland, and Virginia, whereas Sergio Leone&apos;s The Good, the Bad and the Ugly was, by definition of a western, set in the West. In 1862, though, there was a Civil War battle lasting one day on the Rio Grande, led on the Confederate side by the drunken General Sibley. This battle was followed by several days of fighting in Glorieta Pass. These relatively small engagements did not escape the meticulous preproduction research of Sergio Leone and colleagues, who made numerous references to Sibley&apos;s 1862 New Mexico campaign. A brief outline of this campaign and its &apos;appearances&apos; in the The Good, the Bad and the Ugly are highlighted in the book. In collaboration with expert Ulrich Angersbach, a detailed description of deleted scenes is provided in the book. The legendary cut &apos;Socorro&apos; scene is reconstructed with the help of stills and interviews with actors involved in this sequence. In addition, a synopsis of the original Italian script for the complete film will be provided, and differences between the script and film will be elucidated. One of the characteristics of a Sergio Leone film, especially The Good, the Bad and the Ugly, is attention to detail. Historical details of the Civil War period were closely studied and reproduced on the wide screen, albeit with embellishments. Numerous examples of this attention to detail will be presented throughout the book. In particular, many examples of the &apos;appearances&apos; of details gleaned from historical Civil War photos are presented throughout the book.